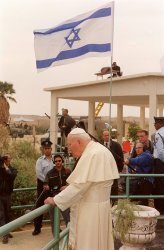 INHERIT THE EARTH traces the hasty preparations for the Pope's visit to the Holy Land in 2000. Adam, an Israeli contractor, was hired to prepare the site on the Mount of Beatitudes for the visit in exactly five weeks, rain or shine. 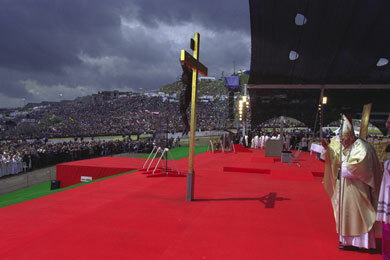 On March 24, 2000, Pope John Paul II led a mass for one hundred thousand young people from around the world, the first time that a Holy Father ever stood where Jesus Christ had preached the Sermon on the Mount to a few of his dedicated Disciples. Yaky Yosha is a critically acclaimed, award-winning Israeli film director whose unflinching eye for realism has kept him in the top ranks of his country's filmmakers. Internationally acclaimed for his work as a director and screen-writer, Yosha's films have often stirred social and political controversy.